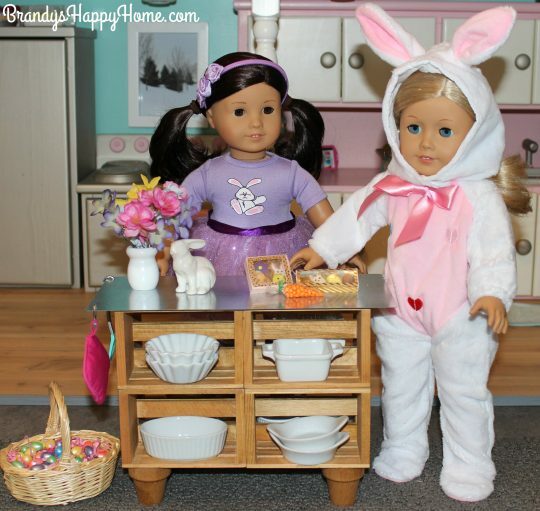 You are here: Home / Doll Room / Doll Easter Treats GIVEAWAY! HAPPY EASTER…a little early!! The bunny and her helper have been hard at work getting together another giveaway for you. Starting today and running until Monday April 3rd, you can enter to win adorable Easter food treats for your dolls. 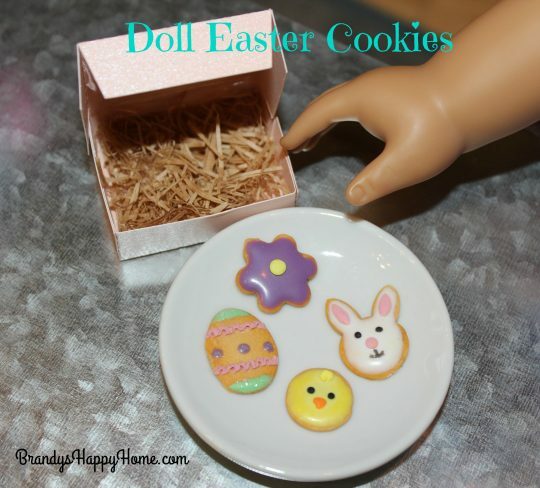 These treats are scaled for American Girl dolls and other 18 inch dolls. 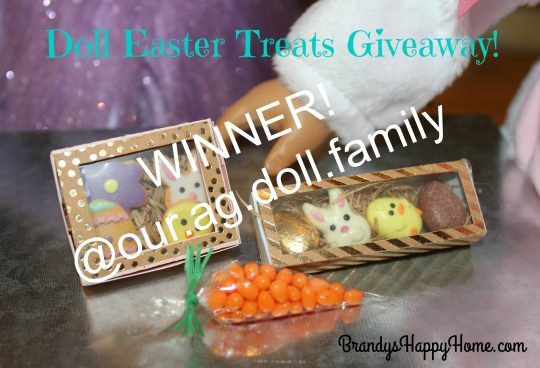 The winner will receive a 4 piece set of boxed Easter chocolate truffles, a 4 piece set of boxed Easter cookies, and a carrot shaped sleeve filled with orange jelly beans. A huge thank you goes out to Ann of My Mini Gourmet for sponsoring this giveaway! 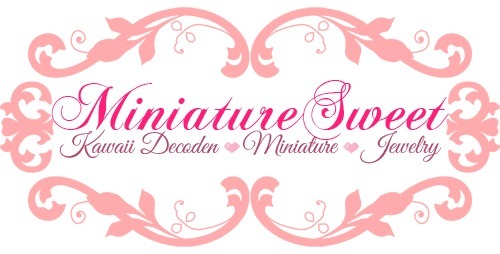 You can find Ann’s Esty shop here: https://www.etsy.com/shop/annsAGminiatures . 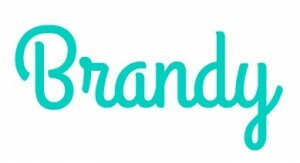 You can find Ann on Facebook here: https://www.facebook.com/AmericanGirlFoodPresentedByAnnsagminiatures . You can find Ann on Instagram here: https://www.instagram.com/annsagminiatures/. This giveaway is going to be via Instagram. See below for rules. Only one entry per IGer. 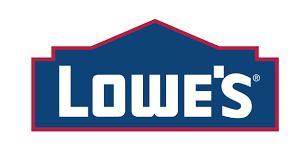 US and Canada residents only. 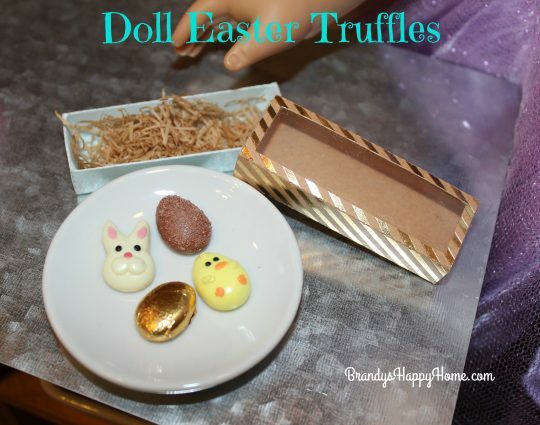 These doll sized truffles are so PERFECT! And a custom box! I have been a long time admiring of Ann for years. She doll food items are very realistic. I wish I could decorate real cookies this cute! So pretty! And another adorable box! 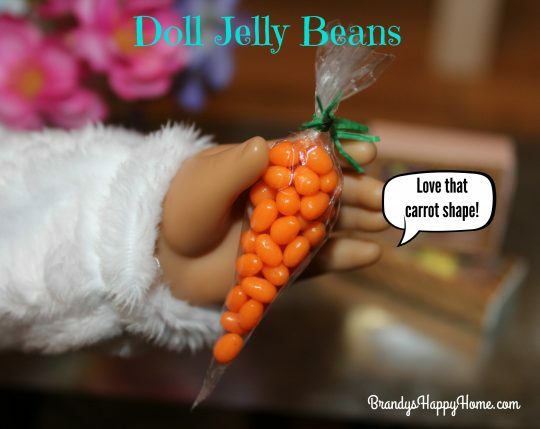 This carrot shaped sleeve of doll sized jelly beans is ADORABLE! 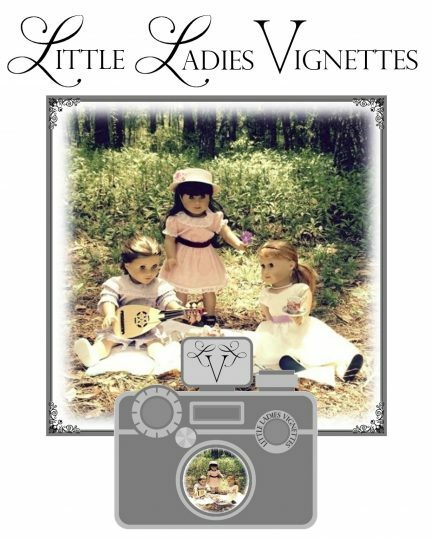 The dolls are modeling adorable outfits provided by the Neat and Cheap Doll Outlet. 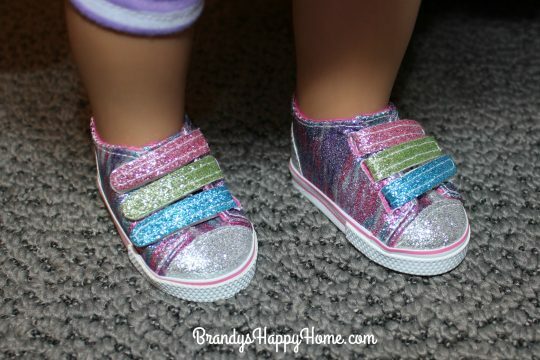 You can find them here: http://stores.ebay.com/Neat-N-Cheap-Doll-Outlet/. 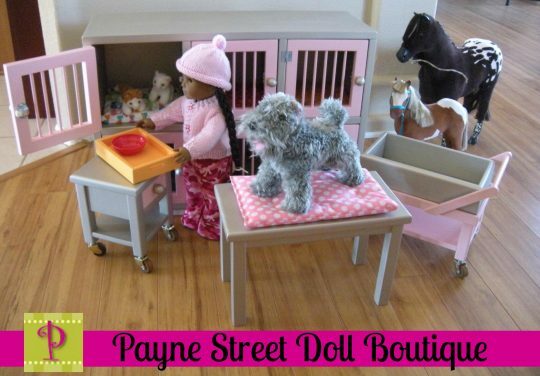 I LOVE the affordable prices of that the Neat and Cheap Doll Outlet offers. 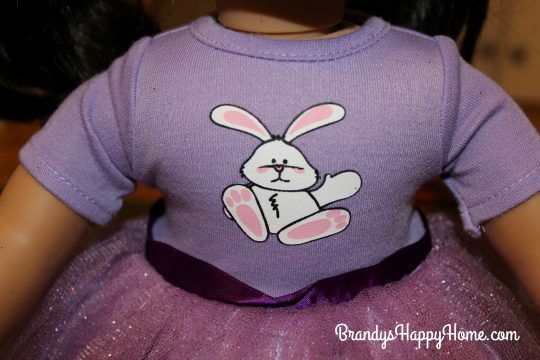 The purple tutu outfit with coordinating leggings is a must have for your doll’s Easter attire. And how ADORABLE is this doll sized Easter Bunny outfit! My youngest wants this bunny outfit in her size. I really liked that the bunny hood was completely detachable; this is great for dolls with longer hair. Even a cute little cotton tail!…..hopping down the bunny trail…hippity…hoppity… Easter’s on its way! 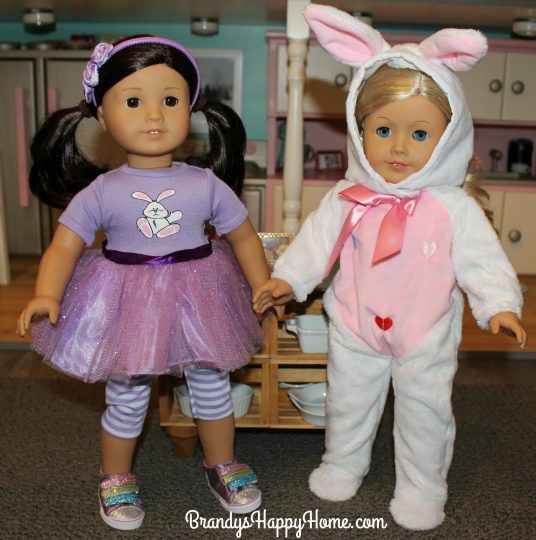 You can find this bunny outfit here: http://www.ebay.com/itm/Holiday-Easter-Bunny-Costume-Fits-18-American-Girl-Doll-Clothes-1pc-/152473341369?hash=item23801e8db9 This outfit is also available in a smaller size to fit your Wellie Wishers dolls and Hearts for Hearts dolls. My daughters’ love the bunny’s way! 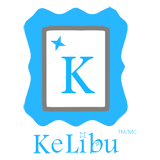 Previous Post: « Doll Sized Printables! Thank you for doing this, I have shared on Instagram. I love that bunny outfit! You are very welcome Lisa! The bunny outfit is really cute! The prices at the Neat n’ Cheap Doll Outlet are excellent. I don’t see a sharing option on IG….it only says I can share via Messenger. You can take a screen shot pic and then crop and post as a pic like you normally would. Or, you can use a reposting app from the App Store.